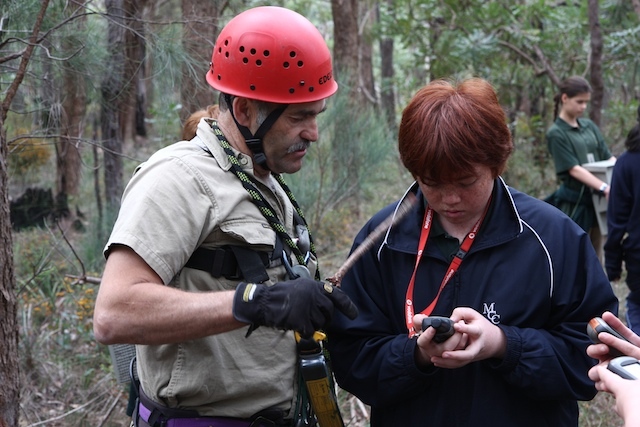 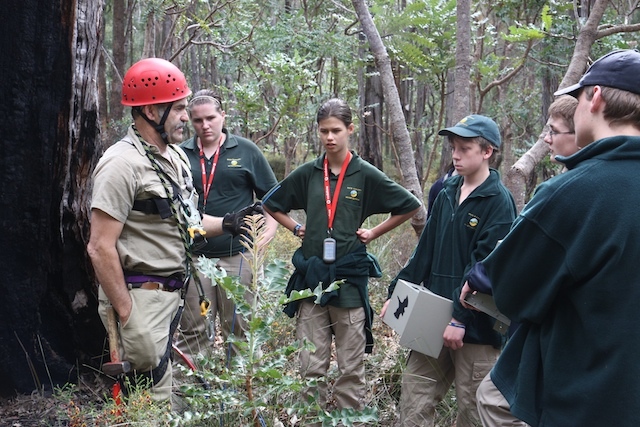 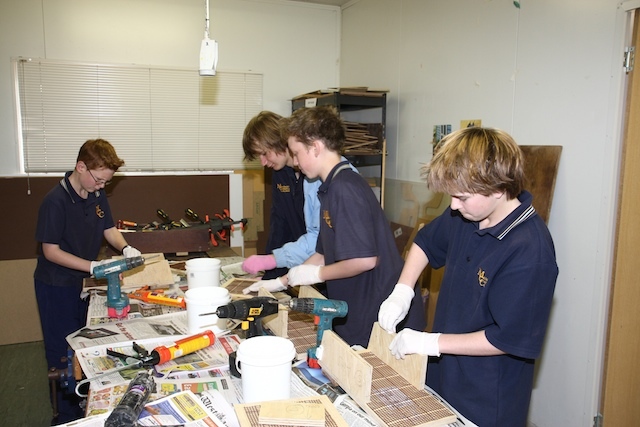 Students from the Mundaring Christian College recently completed a workshop building micro bat boxes. 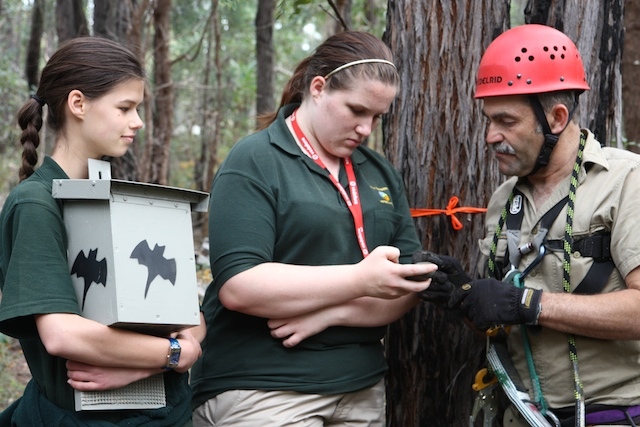 They had to research the requirements that the bats need to live and breed in a successful artificial habitat. 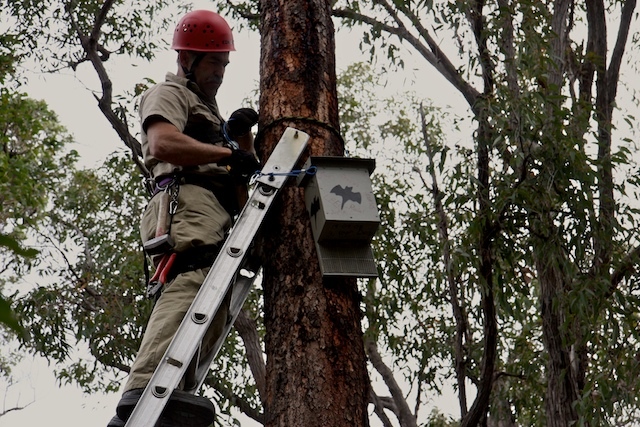 Based on these findings five trees were selected as potential installation sites. 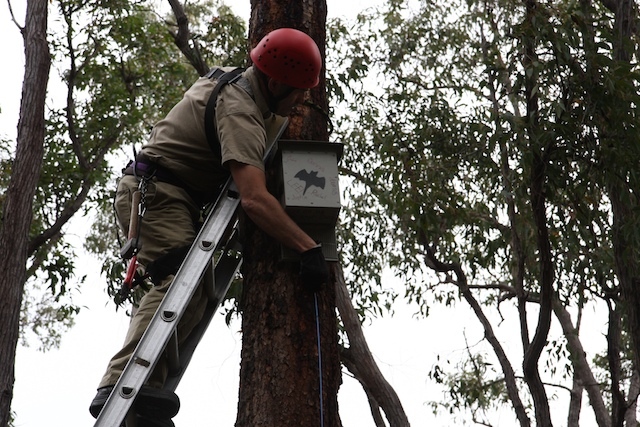 The boxes were installed and a GPS was used to record locations for further studies. 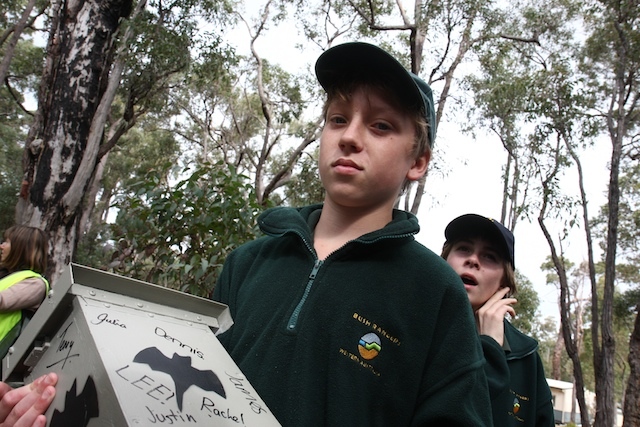 The area chosen is called Black Cockatoo Reserve situated at the rear of the school. 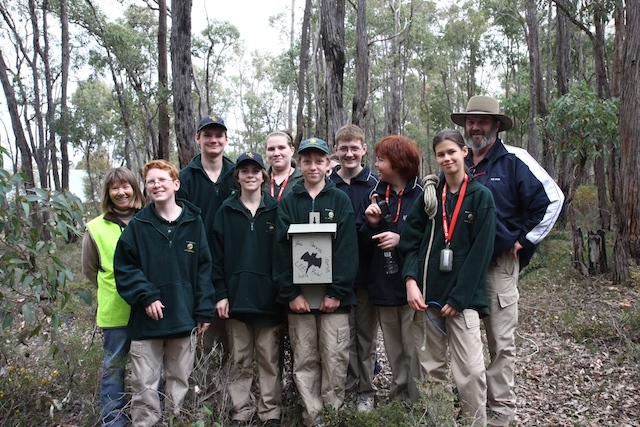 A representative from the Friends group was on site to view the installation of the boxes.